Happy almost turkey day!! There are SO many sales going on right now even though it's not technically Black Friday or Cyber Monday, but I had to share them all because they're so good! I went through all of my favorite retailers and found handfuls of things I'm wanting from each one. The temptation is strong to head to the stores but honestly I am in no mood to deal with lines and such, especially with my kids. Ain't nobody got time for that! Am I right? Instead, I'm all about online shopping starting now until Cyber Tuesday (haha, that's a thing, right?) because I think the best deals are online. Abercrombie - 50% off entire purchase + free shipping, no discount code needed. 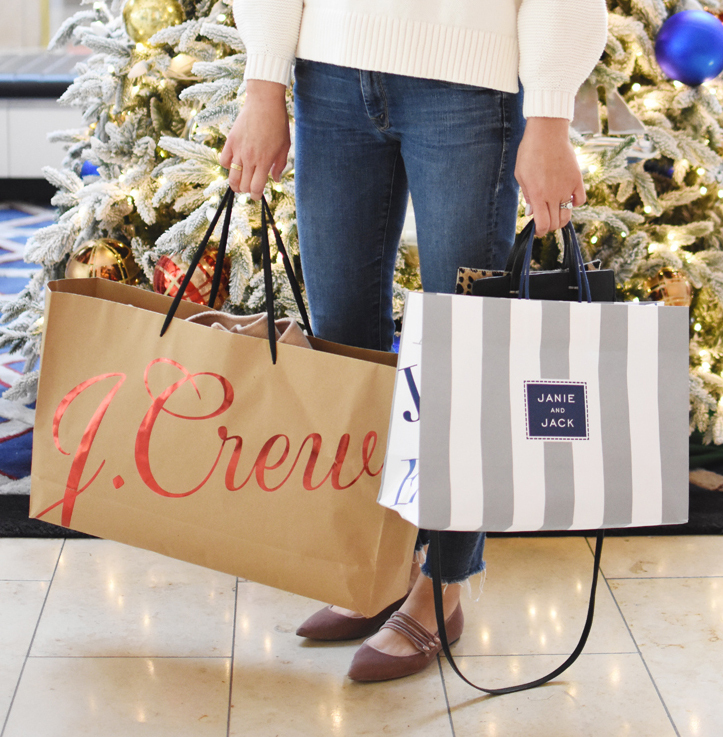 J.Crew - 40% off your purchase, use code TOGETHER. Madewell - 25% off your purchase with code DEALWITHIT. Mark and Graham - 20% off everything with code FRIENDS. Nordstrom - Up to 60% off, prices marked. Old Navy - 50% off entire purchase, no code needed. Serena & Lily - 20% off with code GATHER. Shopbop - 15% off $200+, 20% off $500+, 25% off $800+, with code MORE18. Target - Save $10 when you spend $40 on clothing, shoes & accessories — or save $20 when you spend $75.